We are proud to issue the eleventh ornament in the 12 Days of Christmas ornament series. 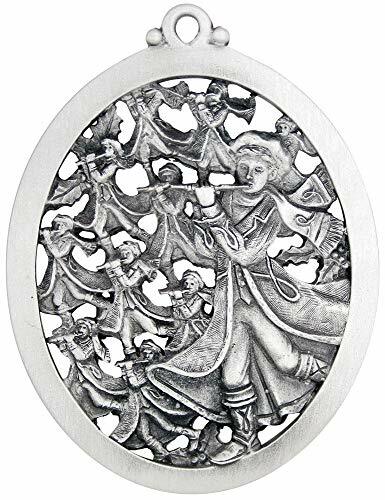 The yuletide Carol, which has been sung and enjoyed during the Christmas season for centuries, has inspired our Eleven Pipers Piping ornament. The Eleven Pipers Piping are said to be representing the remaining 11 disciples after Jesus's death, resurrection, and ascension. This disciples were the ones originally given the task to take the Good News of the Gospel message into the world.